When people think about marketing their podiatry practice on the internet, a couple of things immediately come to mind - like a website and social media. Some also recognize the importance of having positive reviews on a variety of review sites. However, what very few people consider when thinking about marketing and the internet is the role e-mail can play. That’s right, e-mail. It’s something nearly everyone has and takes for granted. At one point, it was a central part of marketing, but now it’s often seen as old-fashioned or even an out-of-date strategy. The truth is that it’s still a valuable tool, and an effective way of building relationships with current and potential patients so they’re more likely to turn to you when they have a problem you can fix in the future. Remember, once you’ve solved someone’s painful problem, they no longer think about you. They have far too many other things keeping them busy in their lives to remember your name. After a few months, they may forget all about you. But what if they really should follow up? What about in the future when they have another problem? Building a relationship by staying connected to them helps grow that sense of trust so they’re more likely to remember and turn to you when they need help. There is a catch, of course. Your e-mails cannot be SPAM. You can’t blast your patients with useless, sales-y, annoying messages that have no real value to the people reading them. Think about what you do in your own e-mail when you get messages like that: you delete them without opening them. Your e-mail contact with your patients, as well as potential patients who have given you their contact information, need to be packed with things your patients will find useful and interesting. They can be messages for birthdays or holidays, part of larger campaigns on specific topics like running or orthotics, periodic updates for your practice, part of your newsletter marketing, and more. How you use e-mail is up to you. The key is to use it intelligently with your marketing database, so you’re able to see how effective your messages are, and whether or not they drive traffic to places like your website or social media pages. Don’t skip over this valuable part of your internet and internal marketing! A well-rounded internet and internal marketing strategy almost requires it. When used correctly, it’s a useful tool that helps you build relationships with patients and grow your practice over time. 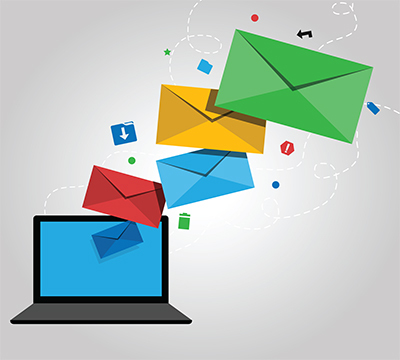 If you’d like to learn more about how e-mail can help you, or you’d like help implementing an e-mail marketing plan through your marketing database, contact us! You can e-mail [email protected] or call (717) 626-2025 for more information.